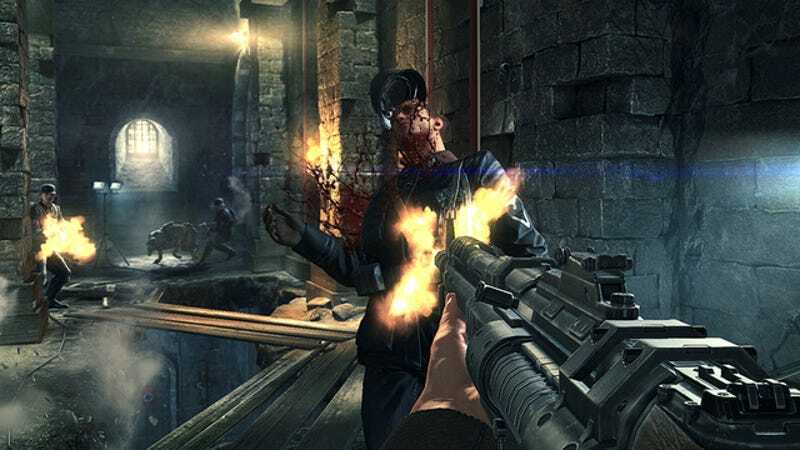 Wolfenstein: The New Order will release on May 20, but perhaps the bigger news is that preordering it gets you access to the beta for the next Doom. Bethesda Softworks' official announcement doesn't give any additional details about its plans for Doom, and that means a release date either for the game or its beta. It listed this URL as the new Doom's official site. Doom's latest iteration has been in development for at least six years now. In an FAQ on the Doom site, Bethesda said beta access will come through an insert inside boxed copies of Wolfenstein: The New Order. Redeeming its key code entitles the user to participate int he Doom beta "once it begins." No other details as far as timing, duration or platform options for the Doom beta were given. Oh yeah, Bethesda also released this trailer—of Wolfenstein, mind you, not Doom.